So what would you do with over 200 kids all wanting to learn how to play America's favorite sport... FOOTBALL! Hear the story from two outstanding people Dave Terres and Elodie Worm, who make it happen in the land of ROCORI. 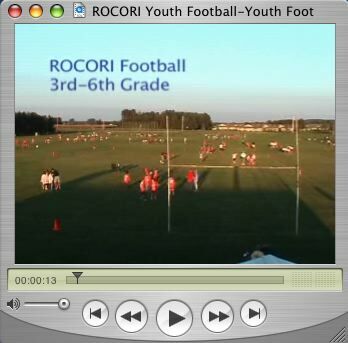 See how the sport is taught to the kids of ROCORI in a way where everyone participates and everyone has a chance to be QUARTERBACK.